For your brand to become popular, first it must go viral. Being viral in your content means getting your ultimate goal of having the right status updates in your social media networks. 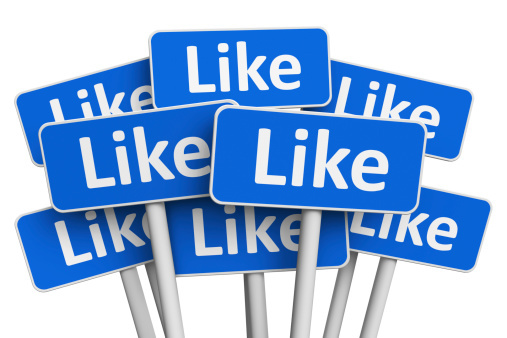 While billions of visitors use the social media platforms every day, business owners still fail to get the right amount of “likes” for their posts. Is there a way of making your content viral so you can reach an enormous number of people? Countless brands invade the Internet each day trying to obtain more visibility in the eyes of visitors. In fact, competitions nowadays have become even tighter. But a simple viral content, for instance, can start boosting a specific business, product or services. As a result, you will gain fresh followers, converting them ultimately into buying customers. Single viral content is the main concern of most businessmen who want to figure out the best formula. While tons of online blogs and websites are accessible online, in reality a genuine viral content is not easily obtained. Many even believe that it is a result of pure chance. Be smart enough! All visitors want something unique from you—something not found from other content online. So anything could be used for visitors for them to learn new things with your own post. For instance, yours could be a fresh source of a healthy laugh. The quickest way to turn off new visitors is to allow them to read content without any gain. They might leave you with a negative comment or will not share your post to anyone. 2. Try to be more personal. Concentrate into having a friendly conversation with individuals. In short, try to talk or chat to a single person, although you want to jump into reaching out a huge market right away. The benefit is that it pays to be more reachable and personal than hitting a big crowd aimlessly. Avoid being general when creating your content. After all, it only makes your post quickly disregarded in the news feed. 3. Generate a split check up. The use of a split test is tried and proven to be helpful. You must realize that not all people have the same interest and response to what you offer. As much as you can, use a different title for your headline. Include a poll to determine which one has a better result. Only then can you understand the right content to post, once you realized the content that draws more audience. 4. Get rid of all the clutter. Come to think about these things: Does your Facebook page look overboard? Most likely, you’ve got more blog posts than necessary. Or maybe, your social media account contains long video clips. Does your link require some mouse clicks to view your whole post? The rule here is to always get rid of the useless clutters. Most of the time, people are in a hurry. They value their time by not reading everything your content gives. You’re better off removing useless portions and give only what is valuable for them. 5. Use other optional platforms. Becoming viral means going beyond a specific platform and trying to use other new options. If your blog has solid content and wide readership as well, then create a piece of it and get it posted on an authority website. Ultimately, it will further your audience giving you more recognition as someone in authority. The more social media network you have the better for your content to go viral. It allows your fans to be engaged in a significant sharing. Request your fans to leave comments, share content and videos, tweet your links and do a lot more. Bear in mind that even high-quality content cannot go viral without doing something about it. Content has to be promoted into something more worthwhile for sharing. It pays to use catchy titles and headlines to draw the attention of your visitors and respond to what you offer.